Dallas, TX – Lead Liaison, a software provider that helps companies build scalable sales and marketing processes, announced today the launch of their Lead Liaison for Startups Program. The new program provides premium sales and marketing solutions at a deep discount for qualifying startups. It also offers VCs, incubators, and university startup programs an opportunity to provide more value to their portfolio of companies. Startups often struggle with taking their businesses to the next level of growth. Lead Liaison designed their Startups Program for companies that need a helping hand as it relates to customer growth and retention. The program includes an array of sales and marketing solutions coupled with free education and world-class support. What’s more, Lead Liaison’s discounts are far deeper than comparable programs. An investment in Lead Liaison’s Startup Program is 86% less than big-name competitors such as HubSpot. 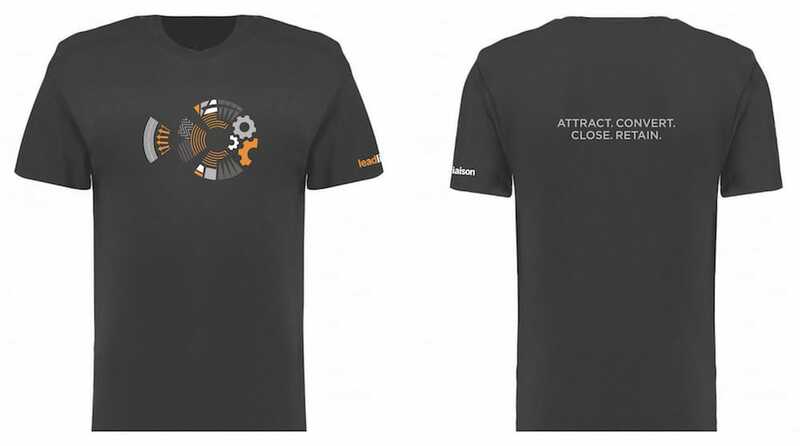 Discounts are valid through 2nd and 3rd year as well, which is 50% longer than competing plans like HubSpot. Solutions in this program include a marketing automation platform, a CRM, website visitor tracking, event lead management, sales enablement, and more. Lead Liaison’s goal is to become a startup’s system of record for all marketing and sales initiatives. “There is a uniquely low discount on all of their software, which we found extremely appealing…” says Ryan Cochrane, Head of Commercial Operations at Good-Loop, a startup delivering impactful, purpose-driven digital advertising. Good-Loop achieves this through offering viewers a free charity donation in exchange for watching an advertisement. This moment of shared good between the brand and the viewer combines with the ad to create a powerful halo effect, leading to improved brand perception, recall and engagement. Lead Liaison developed their software from client feedback and from the needs of their own startup challenges. The company was founded in 2014 and has continued to be privately funded throughout the lifetime of its existence. Rather than acquiring software and bolting it into their solutions, Lead Liaison has built everything from the ground up – giving startups one ideal platform to build and scale their sales and marketing operations. You can learn more about Lead Liaison for Startups by clicking here. To become a Startup Partner (VCs, Incubators, Accelerators, or University Programs), click here. And to refer a partner, click here. Lead Liaison was recently named one of the 50 best tools to develop a successful marketing strategy along with several other marketing industry leaders such as Moz and Evernote. The list comprises the best solutions that help companies with their marketing strategy, namely with planning, strategy, competitive analysis, outreach, and taking action. 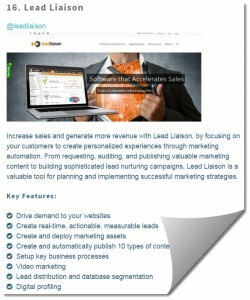 More information on Lead Liaison’s sales and marketing automation solution. 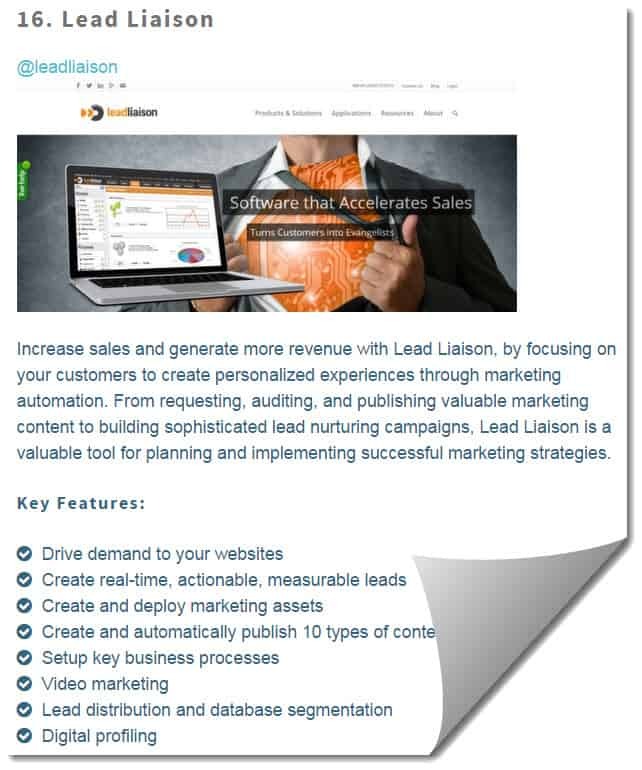 Lead Liaison is a cloud-based sales and marketing automation solution that helps businesses accelerate sales by attracting, converting, closing and retaining more prospects. Filling a void in the small pool of marketing automation providers that focus on marketing-centric functionality, Lead Liaison gives equal focus to sales support with solutions such as a hot-lead dashboard, Buy Signals and a live ticker alert of businesses on the customer’s website. Lead Liaison blends ease-of-use, a flexible business model, deep external integration, marketing across social, web, mobile, email and offline channels and powerful functionality, all specifically tailored for mid-sized businesses, into a single platform, called Revenue Generation Software®. Additionally, Lead Liaison provides content creation services leveraged for communication vehicles such as press releases, blog posts, emails, and posts on social media platforms. Lead Liaison is headquartered in Allen, Texas, near Dallas, and employs 22 people. For more information, visit www.leadliaison.com or call 1-800-89-LEADS (895-3237).